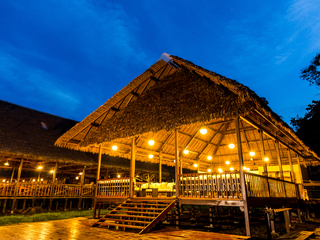 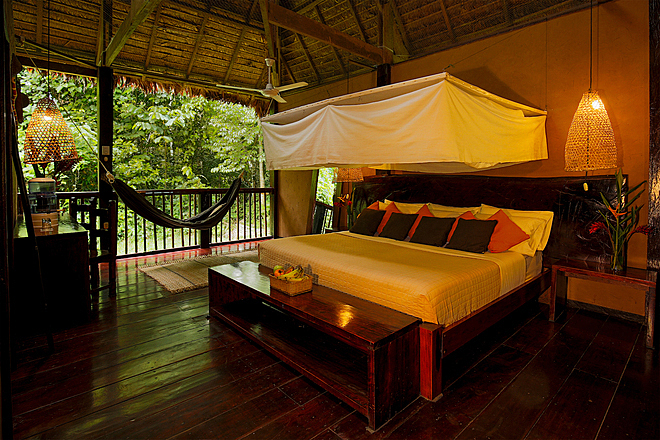 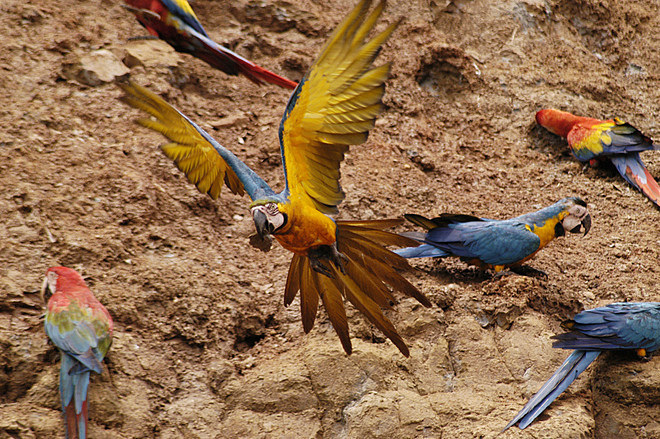 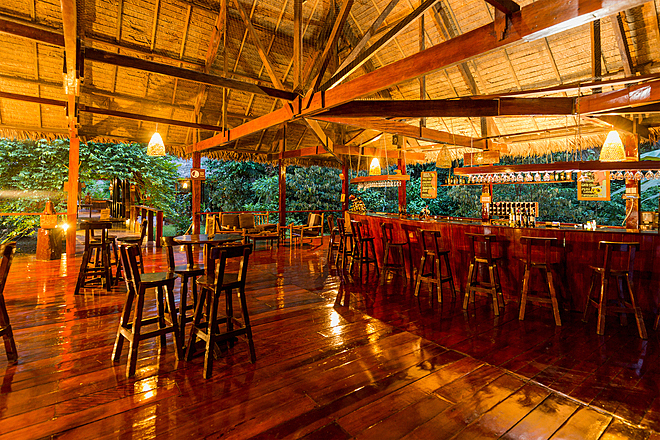 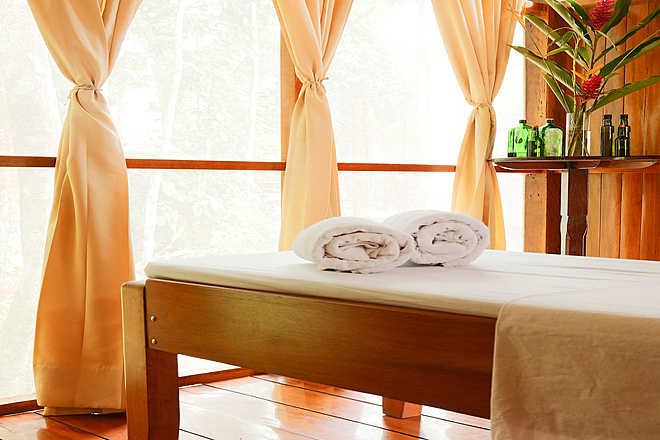 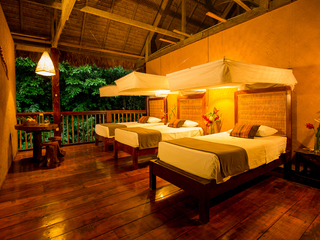 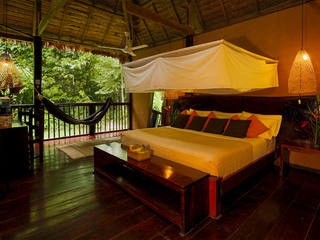 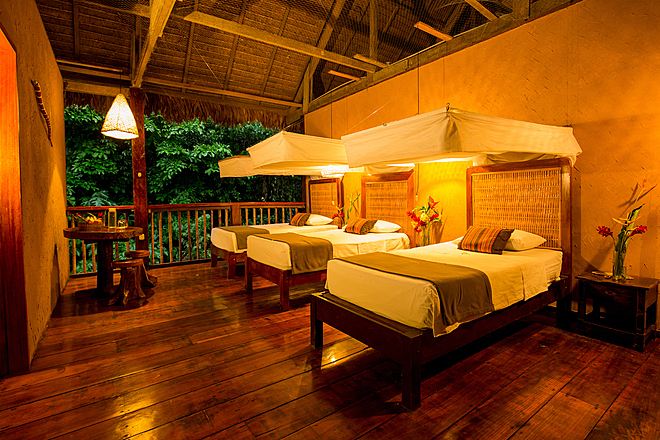 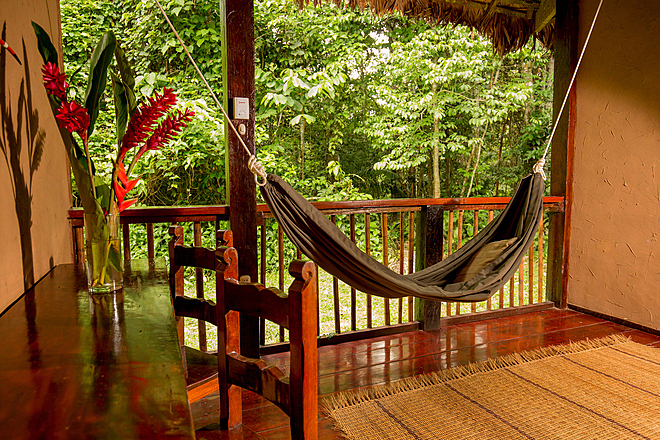 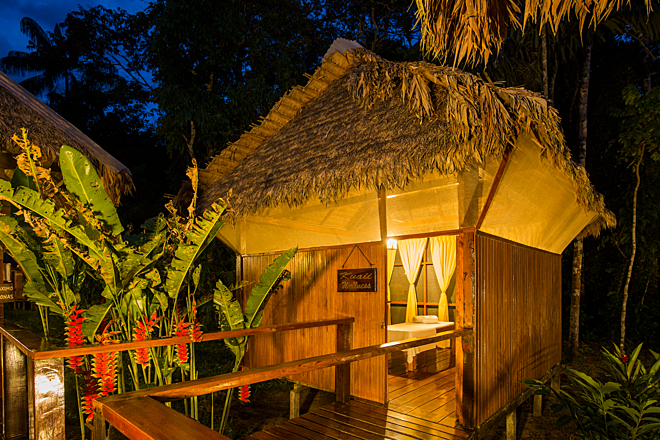 The Peru Nature Portfolio consists of three eco-friendly lodges located within the Tambopata National Reserve. 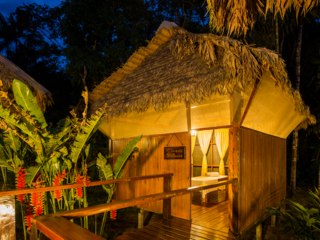 Of these three, Posada Amazonas is the nearest to Puerto Maldonado, the city which serves as the meeting point for those staying at any one of the three lodges. 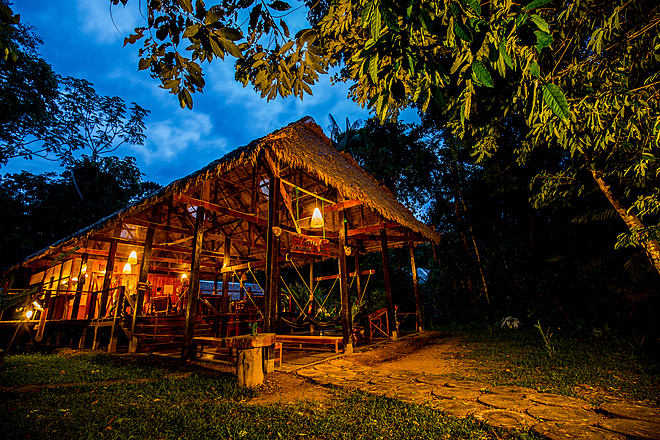 This lodge's location makes it ideal for travellers who might be a bit short on time with perhaps only a couple of nights for a rainforest stopover. 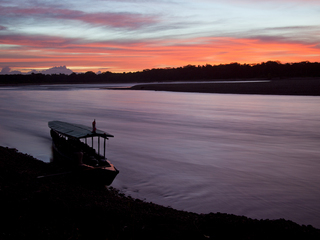 The transfer from the city to the lodge entails a 40-minute drive followed by an upriver ride in a motorised canoe. 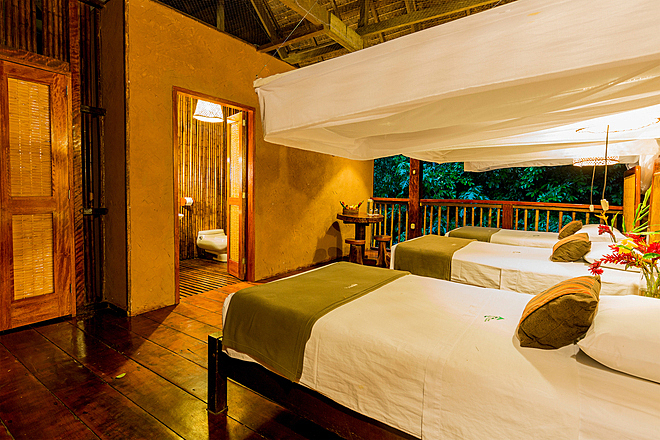 There are a total of 30 rooms available in three categories: Superior, Comfort or Suite. 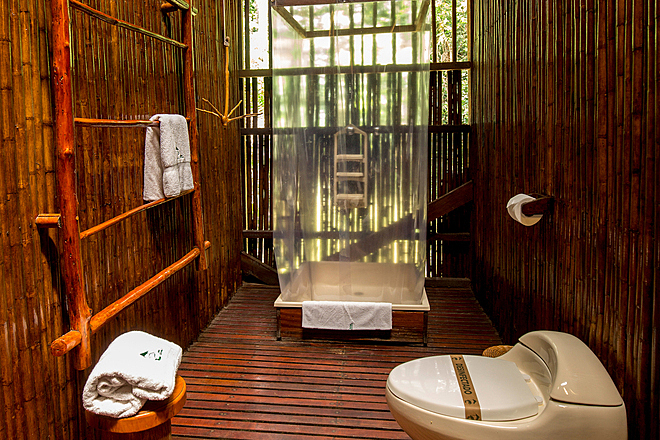 All rooms offer plenty of space and are designed to blend in naturally with the lodge’s lush, unspoiled rainforest setting. 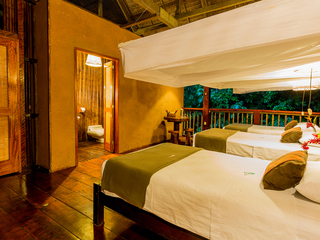 Plenty of creature comforts include eco-friendly toiletries, a mosquito net, hot water and electrical outlets. 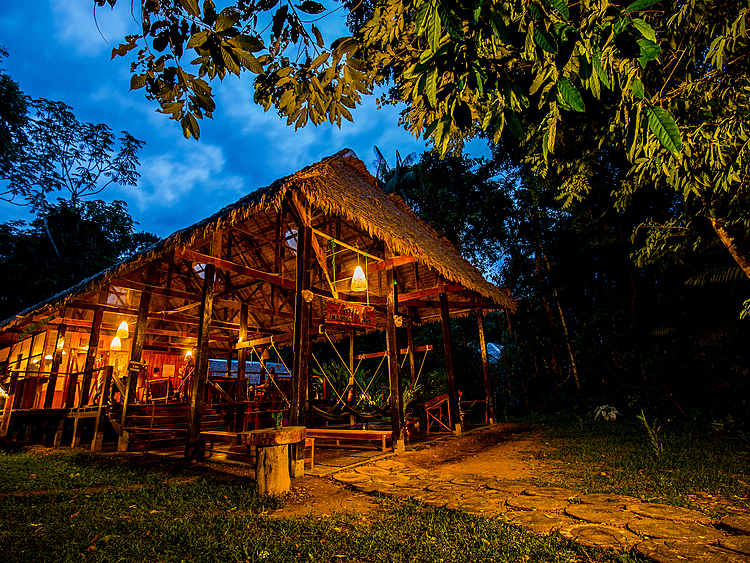 The restaurant serves three meals a day and offers both Peruvian specialties and international favourites, along with plenty of refreshing drinks. 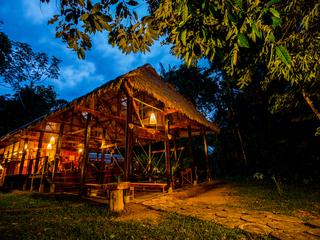 Complimentary drinking water is provided round-the-clock; it’s sourced from a nearby spring and is properly purified in order to make it safe for consumption. 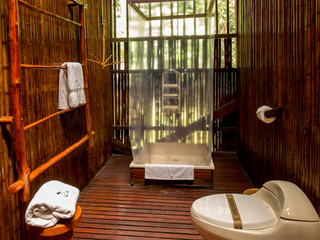 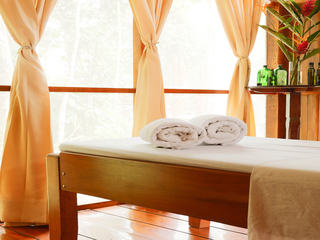 For those looking to unwind, the lodge offers a number of massage treatments, some of which use various plants sourced from the rainforest. 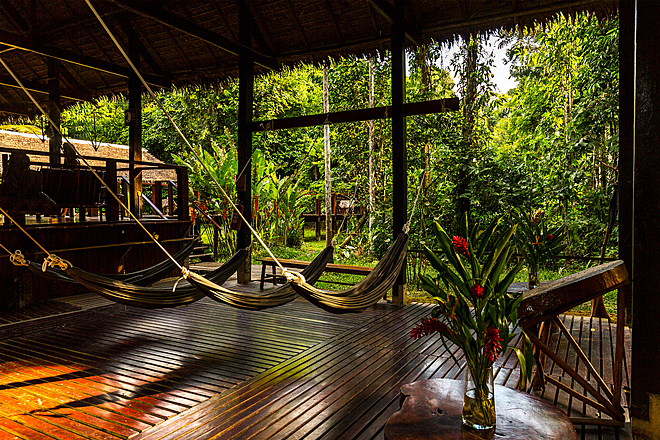 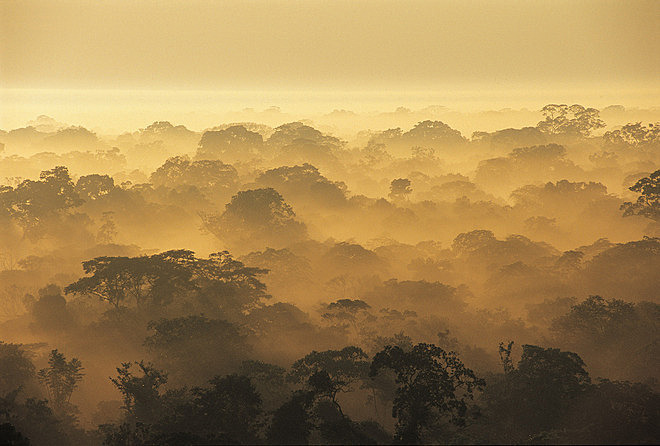 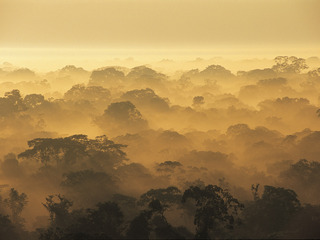 While staying here, the focus is very much on exploring the Amazon. 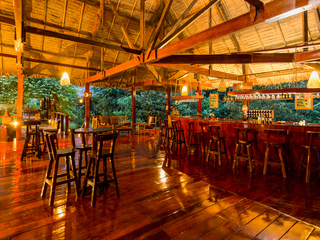 The line-up of excursions is very broad and diverse, with something for everyone. 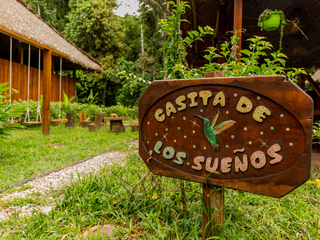 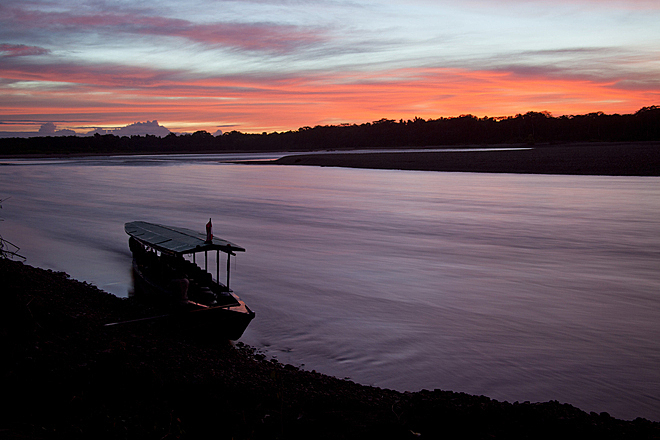 Walks through the rainforest at night, trips to clay licks, visits to nearby farms where lodge staff cultivate a wide variety of tropical crops and plants, and cruises along the Tambopata River at sunset are all on offer. 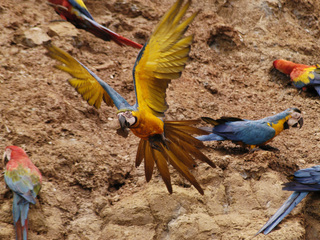 One of the key excursions is Ese Eja Day when, for an extra fee, guests can visit the local community of Infierno. 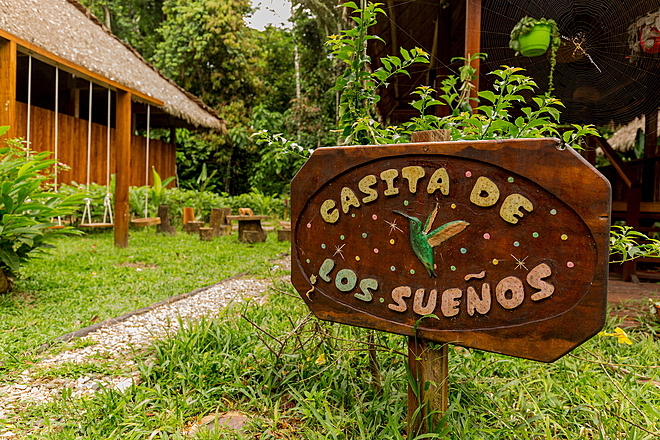 This traditional Amazonian village is populated by the indigenous Ese Eja people who offer visitors the chance to participate in activities such as fishing using a traditional cane and handicraft demonstrations. 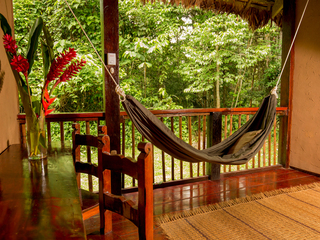 Another highlight is a trip up the lodge’s canopy tower, which offers guests the unique opportunity to view the superb birdlife that inhabits the rainforest’s tallest trees. 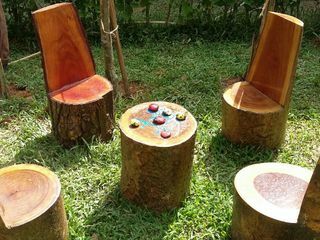 Families are more than welcome, and while there are no particular child-oriented services or facilities, there is plenty on offer to keep all age groups busy. 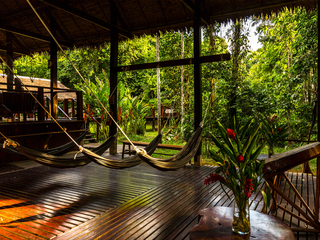 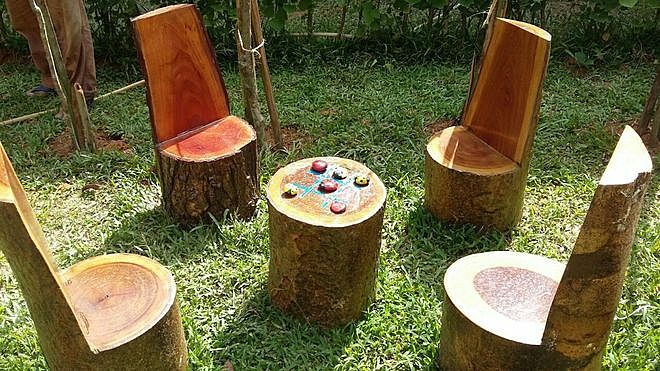 Due to the lodge’s location in an open rainforest, parents will need to keep a close eye on their children at all times.